Satyarup Siddhanta summited an elevation of 4,367 metres which will be followed by Mt Wilhelm-the highest mountain of Papua New Guinea. 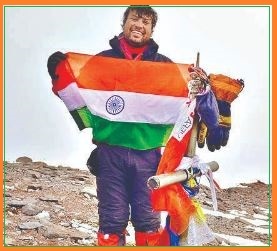 Satyarup Siddhanta till now, has scaled 5 of the 7 volcanic summits. Also, he aims to complete his 6th Volcano in Mexico Mt Pico de Orizaba and then to Antarctica to climb Mt Sidley in December 2018. Satyarup Siddhanta (35 years old), a Mountaineer/Engineer, who hails from West Bengal and lives in Bangaluru summited Vinson Massif in December 2017, becoming only the fifth Indian civilian to complete the seven summits (Messner's List). In September 2018, Satyarup Siddhanta and Mousumi Khatua created history by climbing Asia’s highest volcanic peak Mount Damavand. He also became the first Bengali to do so.